The Magnetic Back Belt asssists with temporary pain relief of muscular aches and pains and works in the same way as all our Magnetic Therapy products. 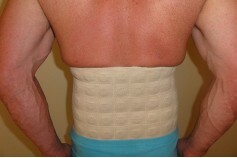 The Back Belt is made in surgical, stretch cotton and is very comfortable to wear. 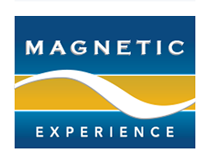 Our Australian Made Magnetic Therapy Back Belt is without a doubt the ONLY magnetic belt on the market using 3000 gauss rare earth, north facing magnets which is why it is so therapeutic. The magnetic component of the belt runs from hip to hip and covers a broader area of the back than any other belt.